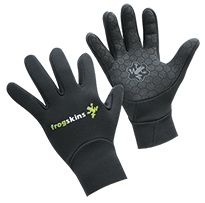 Our unisex FROGSKINS gloves are made entirely from our revolutionary 0.5MM 'QUICK-DRY FLEECE' lined 100% Ultra Stretch neoprene. They have fully gusseted fingers and non-slip printing on the palms and fingers. A great alternative for those who don't like wearing thicker gloves. Perfect for when maximum dexterity and feeling in the fingers is required. 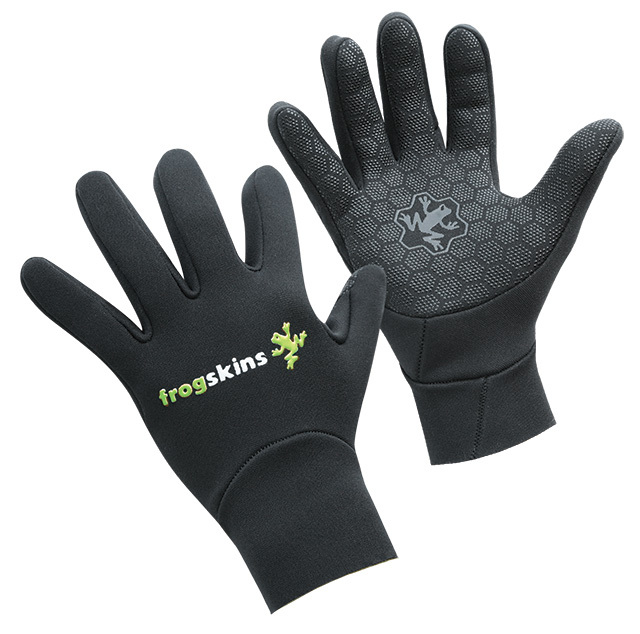 An excellent pair of thermal gloves perfect for diving, snorkelling, OCR, kayaking and any other watersport.